Man held hands with his male partner and rested his head on his shoulder at Arlene Schnitzer Concert Hall. A Portland man is suing two event organizers a year after he was allegedly assaulted during a Morrissey concert by a security guard who objected to seeing him holding hands and resting his head on his male partner's shoulder. 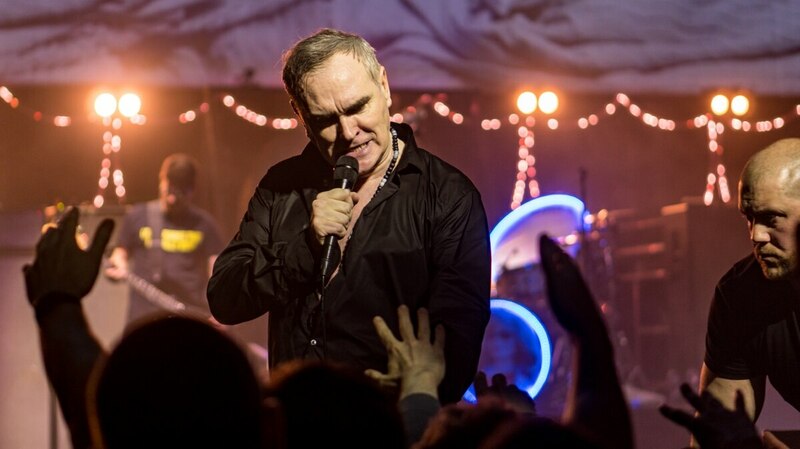 The plaintiff, Vincenzo Maldonado, is suing two Portland-area event organizers, Dead Nation Presents and Coast to Coast Event Services, which organized the Morrissey show at Arlene Schnitzer Concert Hall on Oct. 31, 2017. Morrissey is one of Maldonado's favorite musicians, and like many members of the audience that evening, he and his partner stood from their seats and moved closer to the stage when one of their favorite songs started up. The suit says Maldonado and his partner were just two of many people who got up and moved closer to the stage. However, the lawsuit alleges Maldonado and his partner, another man, were singled out by a security guard. The guard approached Maldonado and his partner and asked them to return to their seats. It was at that time, the lawsuit claims, another concertgoer saw this and indicated that the two seats beside her were unclaimed. Maldonado says he and his partner occupied those seats, but remained standing. As the next song started, Maldonado says he held hands with his partner and rested his head on his partner's shoulder, and the security guard came back. This time, the lawsuit alleges, the security guard called Maldonado a "maricon", a Spanish-language anti-gay slur, and demanded he and his partner leave the venue at once. Before Maldonado could respond, he alleges the security guard grabbed him by the shirt and slammed his head into seat in front of him, breaking his nose. Maldonado lost consciousness, and started bleeding, the lawsuit alleges—and says the security guard offered no assistance. According to the lawsuit, the security guard was hired by a subcontractor of Dead Nation Presents, Coast to Coast Event Services—an Oregon company which provides guest services, security, and crowd management services for some of Portland's biggest events, including Brewfest, the Bite, and countless high-profile concerts. Neither Dead Nation Presents, nor Coast to Coast Event Services immediately responded to requests for comment. Vincenzo Maldonado is represented by Gregory Kafoury of Kafoury & McDougal, and could not be reached for comment.